Carahsoft has agreed to market Qualys‘ cloud-based security platform to federal, state and local government agencies under an extended partnership agreement between the two companies. The Qualys Gov Platform is certified under the Federal Risk and Authorization Management Program and designed to secure information technology environments, Carahsoft said Monday. 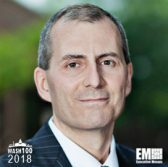 Craig Abod, president of Carahsoft and a four-time Wash100 awardee, said the FedRAMP-authorized offering can help federal civilian and defense agencies manage their security and compliance postures. Abod added that Qualys supports customers in cyber threat identification, detection, prevention and response efforts. The Department of Health and Human Services granted an authority to operate for the Gov Platform in late 2016. The security technology is also on the General Services Administration’s Continuous Diagnostics Mitigation Approved Products List.